Pet urine odor and other animal related odor problems result from alkali odors (ammonia, Trimethylamine), and acidic odors (Hydrogen Sulfide, Methyl Mercaptan) emitted from urine and feces. When your pet releases urine, PH property of urine is alkali; however, after being exposed to air, it changes from alkali to acidic. These odors are not only bad for humans but also for your pets. The most important fact is that pet odor control should be carried safely so that both of you can live comfortable. N-100 odor control neutralizer offers a new alternative for controlling air-borne odors such as Hydrogen sulfide, Methylmercaptan, Trim ethylamine and Ammonia that coming from various odors. Epoleon N-100 was developed mainly for extra-strength deodorization of neutral odors in wastewater treatment and scrubbers. It completely dissolves and neutralizes gases which include acidic odors (Hydrogen Sulfide, Methyl Mercaptan) and alkali odors (Ammonia, Trimethylamine). N-100 is therefore effective odor control agent for Pet urine, Dead Rodents, and musty smells in bathrooms, laundry areas, cabinets and basements. N-100 is not only strong but also environmentally safe, and it is USDA approved. 55 gallon drum for call-in order only. 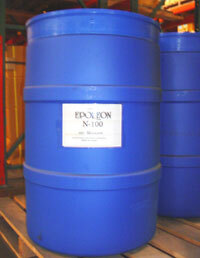 Please call us at 800.376.5366 for ordering 55 gallon drum.